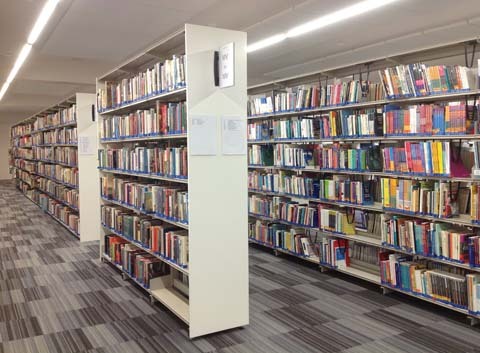 If you are currently enrolled on a programme of study at Bishop Grosseteste University membership of the Library is free for the duration of your course. Your membership is activated as soon as you enrol and receive your university ID card, which is also your library card. You need your ID card to enter the Library, borrow resources and use the copier-printer network, so remember to keep it with you at all times when you are on campus. If you are currently employed by Bishop Grosseteste University membership of the Library is free for the duration of your employment. Your membership is activated as soon as you receive your university ID card, which is also your library card. You need your ID card to enter the Library, borrow resources and use the copier-printer network, so remember to keep it with you at all times when you are on campus. If you are studying with one of the University's partner colleges or organisations (except Grantham College - see below) on a course assessed or validated by Bishop Grosseteste University you are entitled to join the Library as an external borrower. External membership is free for the duration of your course. To join the Library speak to a member of the library team: you will need to provide evidence of your status as a student at a partner college or organisation and you will need to ensure that your initial visit is during normal office hours (i.e. 8.30am-5pm Mondays to Thursdays, 8.30am-4.30pm on Fridays). As an external borrower you will be issued with a library membership card. This is used to borrow resources and gain access to the library. Click here for more information about using the Library as an external borrower, including restricted out-of-hours access to the building. External membership does not include access to document supply services or electronic resources. If you are studying with us at Grantham College you have the same rights and entitlements as a BGU student. Your membership is activated as soon as you enrol and receive your university ID card, which is also your library card. You will need your ID card to enter the Library, borrow resources and use the copier-printer network, so remember to keep it with you at all times when you are on campus. As an external borrower you will be issued with a library membership card. This is used to borrow resources and gain access to the library. Click here for more information about using the Library as an external borrower, including restricted out-of-hours access to the building. Please note that external membership does not include access to document supply services or electronic resources. Click here for more information about SCONUL Access. If you are an alumnus of Bishop Grosseteste University, or a member of BG Generations, you are entitled to join the Library as a lifelong external borrower upon payment of a £50 deposit. You can terminate your library membership, and have your deposit refunded, at any time upon request. To join the library, speak to a member of staff; you will need to ensure that your initial visit is during normal office hours (i.e. 8.30am-5pm Mondays to Thursdays, 8.30am-4.30pm on Fridays)﻿. The University reserves the right to refuse or withdraw an external borrower's membership status at its discretion. If you are a current BGU student or staff member working towards the BGU Associate Award you can use your existing library account for Associate Award purposes. If you are an alumnus or member of the public working towards the BGU Associate Award you are entitled to join the Library, for free, as an external borrower for the duration of the Award (normally up to three years). 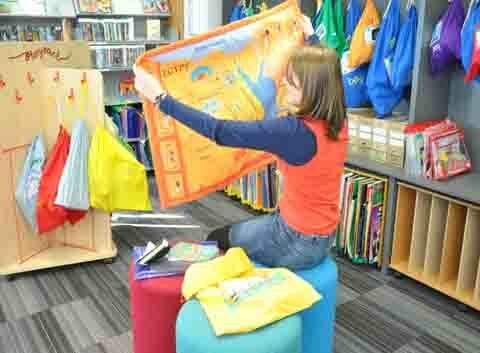 To join our library, speak to a member of staff. You will need to ensure that your initial visit is during normal office hours (i.e. 8.30am-5pm Mondays to Thursdays, 8.30am-4.30pm on Fridays). As an external borrower you will be issued with a library membership card. This is used to borrow resources and gain access to the library. Click here for more information about using the Library as an external borrower, including restricted out-of-hours access to the building. External membership does not include access to document supply services or electronic resources. BGU is a church university in the Anglican tradition. If you are an ordained member of the clergy you are entitled to join the Library, for free, as an external borrower. To join the Library speak to a member of the library team;you will need to ensure that your initial visit is during normal office hours (i.e. 8.30am-5pm Mondays to Thursdays, 8.30am-4.30pm on Fridays) and ﻿you will need to provide evidence of your status as an ordained member of the clergy. If you were previously employed by Bishop Grosseteste University on a permanent contract you are entitled to join the Library, for free, as a lifelong external borrower. To join the Library speak to a member of the library team: you will need to ensure that your initial visit is during normal office hours (i.e. 8.30am-5pm Mondays to Thursdays, 8.30am-4.30pm on Fridays) and you will need to provide evidence of your status as an ex-permanent member of staff. If you are a member of the public and are 18 years of age or over you are entitled to join the Library as an external borrower for an annual membership fee of £50. To join the Library speak to a member of the library team: you will need to ensure that your initial visit is during normal office hours (i.e. 8.30am-5pm Mondays to Thursdays, 8.30am-4.30pm on Fridays)﻿. If you are studying with the North Lincolnshire SCITT (School-based Initial Teacher Training) programme you are entitled to join the Library as an external borrower. External membership is free for the duration of your course. To join the Library speak to a member of the library team: you will need to ensure that your initial visit is during normal office hours (i.e. 8.30am-5pm Mondays to Thursdays, 8.30am-4.30pm on Fridays) and ﻿ you will need to provide evidence of your status as a SCITT student. As an external borrower you will be issued with a library membership card. This is used to borrow resources and gain access to the library. Click here for more information about using the Library as a SCITT student, including restricted out-of-hours access for external borrowers. 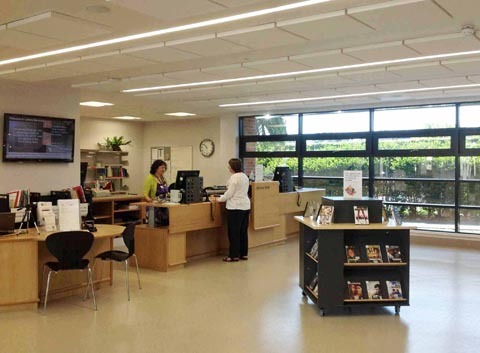 If you are a BG Futures tenant you are entitled to join the Library as an external borrower. If you are an ex-student of Bishop Grosseteste University, membership of the Library is free for the duration of your tenancy. Any other tenant of BG Futures may choose to pay a one-off non-refundable fee of £50 for the duration of their tenancy. To join our library, speak to a member of staff: you will need to ensure that your initial visit is during normal office hours (i.e. 8.30am-5pm Mondays to Thursdays, 8.30am-4.30pm on Fridays). If you do not already have a BGU ID card you will be issued with a library membership card. This is used to borrow resources and gain access to the library. Click here for more information about using the Library as an external borrower, including restricted out-of-hours access to the building. Your BGU ID card is also your library card. If you lose or damage your ID card you will need to visit the IT Services Helpdesk in the CELT building (or contact them at helpdesk@bishopg.ac.uk or on 01522 583666) for a replacement. A fee of £10 is normally payable for a replacement card but there are certain circumstances in which the fee is waived, e.g. if your card has been stolen and you can provide a Police reference number.